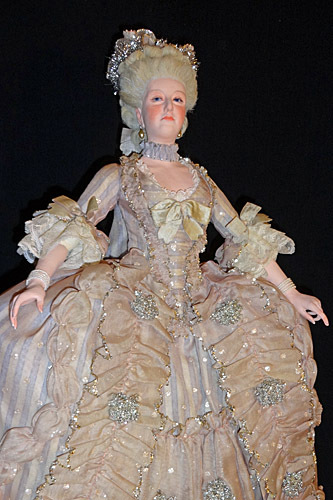 She illustrates the international style of high fashion for the second half of the 18th century. 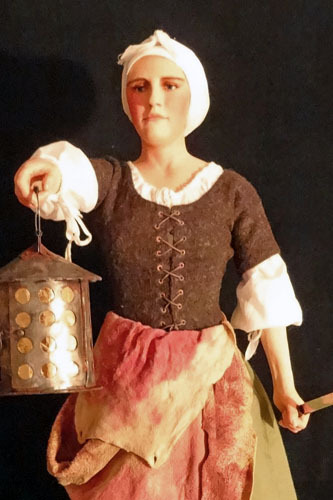 Peasant women had to do rough work, at all times of the day and night. The archetype of handsome youth, he caused a feud between goddesses, and is symbolized by the anemone flower. 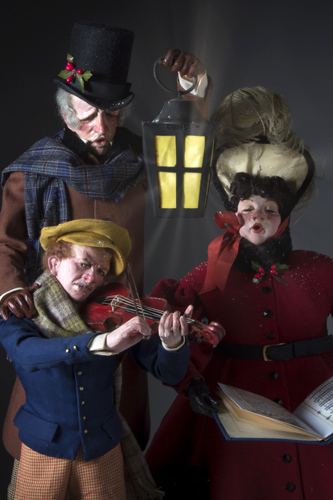 Embodied by Charles Dickens in A Christmas Carol, people spread the joy of the season by going house to house singing carols. The Highlanders were known for their bloody clan wars. 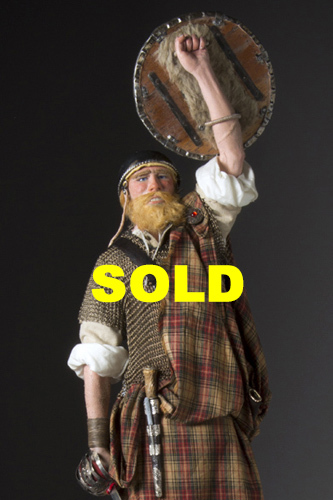 Kilts were a multi-purpose garment, providing pockets, bedding, and protection from the elements. 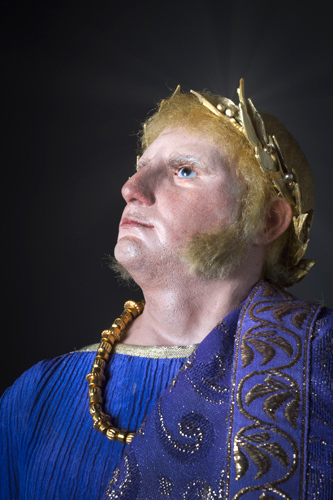 Nero Claudius Caesar Augustus Germanicus, Roman Emperor from 54 to 68 C.E., was adopted by Emperor Claudius and succeeded him upon his death. His reign was characterized by extravagance and tyranny. Morally weak and extremely sensual, he was guilty of many murders, including his wife's. He was accused of allowing the fire that destroyed two-thirds of Rome to burn. Nero escaped being overthrown by committing suicide. 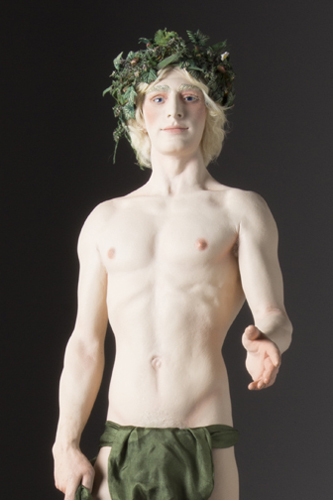 The personification of the Earth in Spring. Beware of triumphalism until the victory has been secured unquestionably. He spoke to the people. 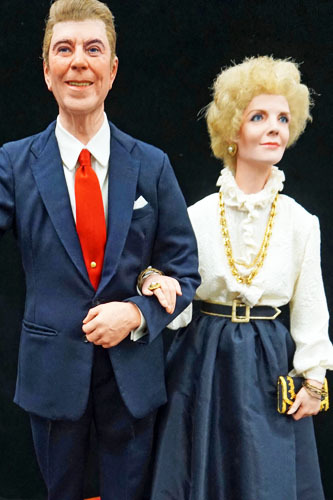 A man of wit and humor who remains popular today, Mrs. Reagan was his treasured partner and confidant. Although long barreled guns had become the weapon of choice for most Indian nations, the Crow were especially proud of their skills with traditional bow and arrow. 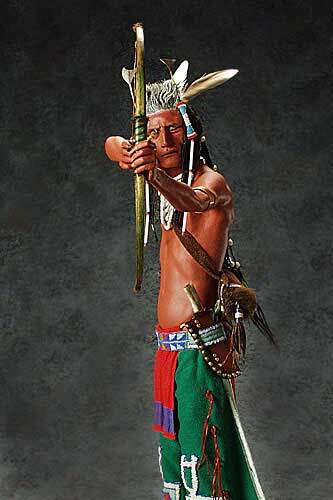 This man is in ceremonial dress and demonstrating his marksmanship along with other young men of his tribe. The arrow always reached its target, while the bullet often went wide. The Crow nation was dominant in the northeastern slopes of the Rockies and westward into the mountains of Montana. A fierce defender of home and tribe. The Sauk and Fox were tribes of the Algonkian of eastern Wisconsin, occupying the Mississippi River region. They were united by the 1832 Black Hawk War. They lived in the woodlands and had the advantage of surprise over their enemies. 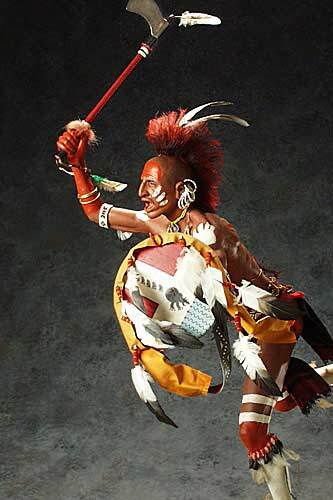 As with their Osage neighbors, their warriors adopted shaven heads and ornamental crests. As they moved to the plains, they became fierce defenders of their bison herds.